Birmingham City University is a modern university with around 22,500 students from 80 countries. The University has strong links with industry and the professions and an established track-record of providing quality higher education and professionally relevant research. Therefore, if you have applicants who cannot afford the GBP21/22K financial requirements, but could possibly afford £16,135 or more, then encourage them to apply.Please remind prospective African scholarship students to answer the scholarships’ questions comprehensively, but keeping their answers to the brief (not to describe irrelevant details about their state of their country, etc...). In addition, as academics will be assessing scholarship applications, please advise students to get a friend or the agency to check their online scholarship application (prior to its submission), ensuring that there are no punctuation, spelling nor syntax errors. Bond University offers a number of part-fee tuition remission scholarships to eligible students applying for a Master of Nutrition and Dietetic Practice, Master of Occupational Therapy or Master of Sports Science.Scholarships are awarded on the basis of academic merit and are a testament to Bond University’s commitment to quality and outstanding students. Applications close on 26 January, 2018 for students commencing in May 2018 semester.Applications close on 25 May, 2018 for students commencing in September 2018 semester. Applications close on 21 September, 2018 for students commencing in January 2019 semester. Students will be required to choose the Faculty of Health Sciences & Medicine Postgraduate Scholarship in the ‘Scholarship Options’ section of the online application form.As part of the application, students will be required to complete a 500 word personal statement to support their scholarship application. Thanks to the generosity of Brunel’s alumni and supporters, we are offering 37 awards, which will comprise a 15% discount on the cost of tuition fees. The International Scholarships are open to Undergraduate, Postgraduate and Research students who are classed as overseas for fee purposes. The Brunel International Scholarship Programme is an annual award, run by the Brunel International office and open to all international students. Its goal is to provide over £110,000 of financial support to exceptional students. Scholarship holders will go on to represent Brunel as ambassadors throughout their time at the University. Developed by Brunel University London in collaboration with The Welding Institute (TWI), as part of the National Structural Integrity Research Centre (NSIRC). This specialist programme is delivered off campus at Granta Park, Cambridge, and allows students to benefit from a unique postgraduate environment in which industrialists and academics work together to solve real problems faced by industry. The programme synthesises relevant knowledge from the field of materials, structural analysis and non-destructive testing and inspection. Graduates will pursue careers in the oil and gas, power generation, petrochemical, nuclear and transportation sectors. Curtin College students will now have access to CRL Merit scholarships at Curtin University upon completion of the Diploma program on progression to University. The scholarships applications opens on 25th September 2017 for students commencing in 2018. This is offered to international, full-fee, non-sponsored students for Peth campus only. Scholarship amount will be 10% up to a maximum amount of $4000 of the Bachelor tuition fees and can be for any faculty. Students should have a weighted average of 75% in the Curtin College Diploma program. This might be an encouragement for students to perform better at the college to be able to take some advantage for their hard work.We strive to give a recognition to those who work hard to achieve good results and hoping this can make a difference. Curtin is offering the Alumni & Family Scholarship, and Australian Year 12 Scholarship, to support international students commencing study at Curtin’s main Perth campus during first and second semester 2018. 10 per cent off their Curtin English fees (if they choose to enrol in the English Language Bridging course before commencing their studies). In recognition of Curtin’s growing alumni community, the Alumni & Family Scholarship is open to any international student commencing an undergraduate or master by coursework program who can demonstrate that they, their sibling, half-sibling, parent or child are Curtin alumni, or currently enrolled at Curtin. The Australian Year 12 Scholarship is open to international students of any nationality other than Australian who want to study an undergraduate program and can demonstrate that they have successfully completed an Australian high school qualification either in Australia or overseas. International students who apply to study at Curtin are automatically assessed for the above scholarships, meaning that no scholarship applications are required. Students with credit for recognised learning (CRL) are not eligible. The International Student Scholarship is available to all new international undergraduate and postgraduate coursework students who meet the academic criteria at CQUniversity Australia. The International Student Scholarship remains a 20% scholarship, which will apply to the student’s tuition fees each term for the duration of their studies in the course listed on their Letter of Offer. The major change is that students no longer need to maintain a GPA of 5.5 each term to continue to maintain the scholarship. The scholarship is for the duration of the degree so long as the student maintains a sufficient average across their studies (conditions apply). There are no application forms for this merit-based scholarship. All students who apply for eligible courses will be automatically assessed for the scholarship. ICRGU are delighted to announce the Robert Gordon University Perform and Progress Financial Awardavailable to our undergraduate students. A fee reduction of £3000 will be applied to the first academic year of studies at Robert Gordon University following successful completion of the ICRGU pathway. The International Scholarship Award is offered to all self-funded international students applying for a full-time master’s degree programme at LJMU who meet the full conditions of their offer. The scholarship is worth £2,000 which goes towards the tuition fee of a full-time master’s degree. There is no separate application process. All eligible applications will be automatically considered for the award. You do not need to submit a separate application for the Scholarship. Details of eligibility for the scholarship will be included in your offer letter and confirmation of the scholarship award will be confirmed in your CAS letter. La Trobe's Academic Excellence Scholarships (AES) cover tuition fees for high-achieving international students accepted into our undergraduate and postgraduate coursework programs. Worth between $10,000 and $20,000, these scholarships are paid across a maximum of two semesters (or 12 months). If you receive this scholarship, you still need to pay for any difference in fees for your first two semesters, fees for the rest of your course, and your Overseas Student Health Cover. You must be a citizen of a country other than Australia or New Zealand and be applying to start an undergraduate or postgraduate coursework program. You must also have scored 85% or equivalent in your previous degree/award, and meet our English language and academic entry requirements. You are not eligible if you are starting a Higher Degree by Research, exchange program, Study Abroad program, ELICOS and Foundation Studies program, or Diploma course. La Trobe University values academic excellence. If you are a high-achieving international student and thinking about applying for a full fee paying place in undergraduate or postgraduate study in 2017, your application will also be assessed for eligibility to receive a scholarship for the duration of your intended studies at La Trobe. The La Trobe College Excellence Scholarship (CES) is a scholarship available to international students to cover tuition fees for high-achieving international students accepted into our undergraduate and postgraduate coursework programs. The scholarships are worth between 15%, 20% and 25% deduction on annual tuition fees for the duration of your studies and are limited in number. be applying to study a Higher Degree program at any La Trobe Victorian campus. meet course prerequisites and have an International Baccalaureate Diploma score of at least 26 or higher (Australian Equivalency), for undergraduate studies. These scholarships offer up to $5,000 worth of tuition fees for international students studying undergraduate or postgraduate coursework programs at one of our regional campuses. You must meet the English language and academic requirements for your course, and have an unconditional offer for an undergraduate or postgraduate coursework program at one of our regional campuses. University of Hertfordshire is pleased announce our Early Bird Scholarship worth £1,000 for all our African applicants. We want to encourage applicants to commit early and meet their conditions in good time! This will speed up the CAS process for them and allow plenty of time to gain their visa; avoiding the usual late scramble in August! Hopefully the scholarship will also help you convert students for Hertfordshire as well! Applicants need to make their deposit payment before the Friday 22nd June 2018. The funds do not have to clear by this date, but, they must be able to evidence they have made payment by this date. Students will still be eligible for other scholarships alongside the Early Payment Scholarship, but make sure they pay before the deadline to secure this exclusive discount! The Institute for Transport Studies (ITS) at the University of Leeds invites applications for fees scholarships worth £8875. The scholarships will fund 50% of the tuition fees for international students to undertake a full-time Masters degree programme and are intended to provide development opportunities to students of outstanding ability, achievement and potential. Applicants must first hold an offer (conditional or unconditional) of an academic place on an ITS Masters programme for the academic year commencing September, and be designated by the University as being of international fee status. All scholarship applications will be assessed on a competitive basis.A scholarship award cannot be deferred and will lapse if not taken up in September 2017. The scholarships provide a 50% tuition fee waiver for the academic year (equivalent to the value of £8875 for international students). Applicants should submit the ITS scholarship form, including a statement of 500 words on how a Masters degree would enable them to make a difference to transportation (e.g in their country, region or area) and specifically to tackle a significant problem or issue. The Institute for Transport Studies (ITS) at the University of Leeds invites applications for scholarships worth £2000. The scholarships will contribute to the tuition fees for two students to undertake a full-time Masters degree and are funded by the employer organisations which recruit staff for their graduate intake directly from the ITS postgraduate cohort. Applicants must first hold an offer (conditional or unconditional) of an academic place on a full-time ITS Masters programme for the academic year commencing September . All scholarship applications will be assessed on a competitive basis. 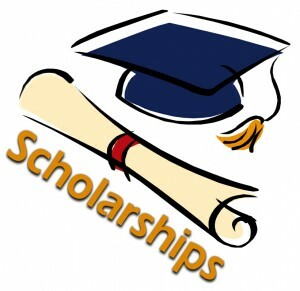 A scholarship award cannot be deferred and will lapse if not taken up in September. The scholarship provides a partial fee waiver for the academic year, equivalent to the value of £2000. Applicants should submit the ITS scholarship application form, including a statement of 500 words on how a Masters degree would enable them to make a difference to transportation (e.g in their country, region or area) and specifically to tackle a significant problem or issue. The Institute for Transport Studies (ITS) at the University of Leeds invites applications for fees scholarships worth up to £8875. The scholarships will fund 50% of the tuition fees for students to undertake a Masters degree in transport modelling on a full-time study basis, and are intended to provide development opportunities to students of outstanding ability, achievement and potential. Applicants must first hold an offer (conditional or unconditional) of an academic place on the MSc Mathematical Modelling for Transport programme for the academic year commencing September. All scholarship applications will be assessed on a competitive basis. A scholarship award cannot be deferred and will lapse if not taken up in September. The scholarships provide a 50% tuition fee waiver for the academic year (equivalent to the value of £8875 for international students / £3500 for UK/EU students). Applicants should submit the ITS scholarship form, including a statement of 500 words on how the mathematical modelling skills developed in this programme would enable them to make a difference to transportation (e.g in their country, region or area) and specifically to tackle a significant issue. This annual scholarship was established to provide up to three students per year with a $5,000 reduction in the tuition fees for the Master of Laws (LLM) program. These scholarships provide $2,500 for the student’s first semester in the program, and $2,500 for the student’s second semester in the program, provided they remain eligible. The Jack Ma Foundation will give US$20 million ($26.4 million) to fund a first-of-its-kind scholarship program at UON. Marking the largest philanthropic commitment in UON’s history, the new scholarship program pays tribute to Mr Ma’s close personal connection to Newcastle. The Ma & Morley Scholarship Program will have a transformational impact on the lives of students and shape the next generation of leaders. Unique to the Australian higher education sector, the Program will help establish an enduring community of scholars and provide them with a comprehensive engagement and enrichment program while at university and develop key networks and friendships, as well as experience important practical training to equip them for leadership in the global environment. We are honoured to work with the Jack Ma Foundation to enable these life-changing opportunities for disadvantaged, Indigenous and high achieving students. Our shared values and commitment to providing excellence and equitable access to education for anybody with ability and determination are highlighted by the Program, which will be advertised later this year for students commencing their initial year of an undergraduate degree. We are delighted to be able to share this news with you. The Program is scheduled to run for at least 20 years and we are thrilled that our most deserving students will continue to be provided with hope to fulfil their potential and aspiration with and the support to enable the successful completion of their studies. Nottingham University Business School is one of an elite global group of EQUIS and AMBA accredited business schools and it has continued to rank in The Economist’s list of the world’s top 100 full-time MBA programmes, despite increasing global competition. The School has featured in the top 100 every year since 2011. •Academic: applicants must normally hold a good honours degree from an approved university. Candidates with a relevant professional qualification considered to be equivalent to a first degree will be considered. •Work experience: For all full-time/EMBA programmes, applicants will usually be expected to have at least five years of full-time work experience that includes a management dimension. •English requirements: an IELTS score (Academic) of at least 7.0 with a minimum score of 6.0 in each of the four elements of the test. •The Nottingham University Business School Future Ambassador Scholarship - Applicants who have the equivalent of 65% in their degree and normally 5 years work experience (including a management element) will be considered on a case-by-case basis for a 25% scholarship. •The Nottingham University Business School Dean’s Scholarship for Excellence - Applicants who have the equivalent of >70% and excellent managerial experience will be considered on a case-by-case basis for a 75% or 100% scholarship. RGU offers merit based scholarships from the rage of £1000 to £3000 for Postgraduate courses. Available to new undergraduate students in all subjects and with Overseas fee status. Available to all LLB Law offer holders with Overseas fee status. Available to new Masters students in all subjects and with Overseas fee status. Available to all new full-time Masters students who are studying at or have graduated from a Santander University. Your chance to receive a 50% reduction on your MSc Public Health course fees. For a limited time we are offering two students the opportunity to receive a 50% reduction in the course fees for the MSc Public Health. 1. 50% Undergraduate Accelerator Program Tuition Fee Waivers for Summer. Partnerships: University of Central Florida, Florida International University, Auburn University, American University, University of South Carolina, Louisiana State University and University of Kansas. Students must accept their offer and pay $4,000 deposit by 31st March to be eligible for this waiver. Fee waiver will be applied only after the deposit is paid. Students must accept their offer and pay $4,000 deposit by 31st March to be eligible for this scholarship. Scholarships will be applied only after the deposit is paid. Amount: $2,000 - $4,000 in MAP. Does not continue in Year 2. University of Stirling have created a new scholarship scheme for the September 2018 intake. These scholarships are to be awarded to our best-performing agent partners around the globe for distribution amongst their students, and I am delighted to let you know that BCIE have been chosen to take part in the scheme. One additional scholarship of £3,000 has been awarded to BCIE (West Africa) under the scheme at this stage (further awards may become available later in the cycle, but these have yet to be confirmed). - Scholarships should be awarded to self-funded students only. - Students must not have already paid a deposit to the University of Stirling. Ideally awardees will be current applicants to Stirling who have yet to confirm their place, but new applicants will also be considered. - Students would be expected to meet any outstanding conditions of their offers and pay their tuition fee deposit promptly upon the award of a scholarship – ideally within two weeks. The deadline to nominate students for this award is 31st May 2018. I appreciate that you may not have any students ready to confirm their place and make a deposit payment at present, but if I could ask you to inform me of the student you wish to put forward for this award before that date I would be really grateful. The University of South Wales has the following scholarships for international students. You will be automatically considered for one of these awards when we receive your application. You do not need to make a separate application and confirmation of scholarship will be included in your offer letter. £2000 scholarships towards course tuition fees are available in each year of study of a full-time undergraduate programme. Eligible students must have excellent grades from High School and strong English test results. The scholarship is only available for the standard duration of the programme. These scholarships will be limited in number, competitive based on merit, and a separate application will be required. The combined total amount of scholarship will enable us to advertise this as a full £10,000 scholarship for a five-year undergraduate programme. These scholarships will be limited to 5 in number. £3500/£2500 scholarships towards course tuition fees are available for students studying on MSc/PGT programmes in Science. Eligible students must have excellent grades from University and strong English test results. The scholarship amount will depend on the banding of the course fee, with courses in CIS and Maths & Stats (excluding MSc Quantitative Finance) attracting the lesser amount. These scholarships will be limited to 40 in number but with flexibility to offer more scholarships in departments where there is most interest. SGSM has a limited number of merit based scholarships available to applicants who have achieved a minimum GPA 5.25/7.0 or equivalent. The SGSM International Scholarships Q4/ valued at AUD$5,000 are available for applicants commencing specific postgraduate courses in Quarter 4 (September intake) 2017. No separate application is necessary. All new applications for admission submitted from 14 June will be automatically considered for a scholarship. If applicants are successful, their scholarship offer will be outlined in their offer of admission letter. To be awarded the scholarship, successful applicants must have accepted an unconditional offer for admission by 10 August , if not filled prior. Successful applicants will be given a copy of the Scholarship Recipient Agreement when a scholarship offer is made. If the Scholarship Recipient Agreement is not returned together with an unconditional admission acceptance by 10 August 2017, the scholarship offer will be withdrawn. University of Worcester offers International Academic Scholarships worth £2,000 these are available to eligible students (based on academic merit and performance). 1. UNDERGRADUATE BURSARIES SCHEME – YEAR 1 ENTRY AND/OR YEAR 2 DIRECT ENTRY. Students who achieve the highest category of school exit award that is deemed to be excellent or exemplary (determined by NARIC), will be eligible for a further reduced fee of £1500 making a Year 1 fee of £7,000. Please note this only applies to the Year 1 (or Year 2 direct entry) fee. The remainder of the programme of study will be charged at £8,500. Students who achieve an undergraduate degree category qualification equivalent to a high 2.1 qualification or higher, (determined by NARIC), will be eligible to apply for a further reduced fee of £1,000 making an MA fee of £8,000. Students who achieve an undergraduate degree category qualification equivalent to a high 2.1 qualification or higher, (determined by NARIC), will be eligible to apply for a further reduced fee of £1,000 making an MBA fee of £9,800. Students who achieve an undergraduate degree category qualification equivalent to a high 2.1 qualification or higher, i.e. 65% or higher, will be eligible to apply for a further reduced fee of £1,500 making an MBA fee of £9,300. This scheme was launched in October 2012 with an annual intake of 15 beneficiaries to study in leading UK universities with an award value ranging between N9 and N11 million, depending on the course of study and course duration. The scheme covers listed disciplines: Environmental Studies, Engineering, Management, Accountancy, Economics, Information Technology, Geology, Banking, Law and Medicine.